On Wednesday, March 29, the University of Florida (UF) College of Veterinary Medicine confirmed one case of MRLS and has two other cases that are suspect. All three cases occurred in Alachua County, Florida this spring. 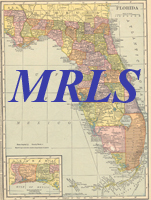 MRLS has not been previously reported in Florida. The Kentucky outbreak suffered severe economic losses estimated to be near $336-500 million and a loss of 30 percent of the estimated foal crop for 2002. For more information, consult the University of Kentucky web page on MRLS at www.ca.uky.edu/gluck/mrls/index.htm or The Horse: Your Guide to Equine Health Care at www.thehorse.com.